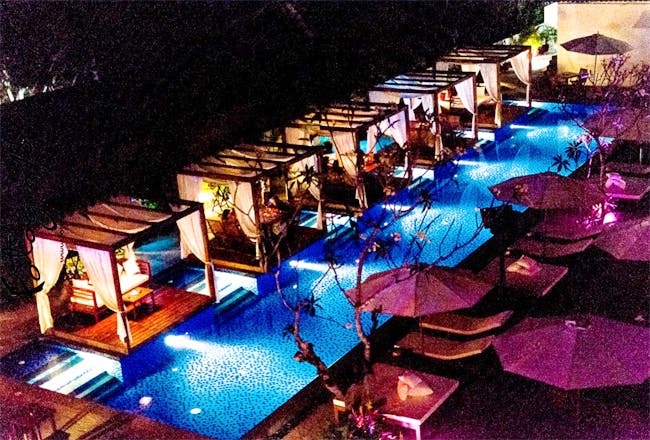 A gem on the Fort Aguada Street in Candolim, Goa, SinQ Beach Club is a nightclub that gets you into the groove the moment you enter the place with its really cool neon lighting and ambience. It is definitely a hot spot in north Goa. If you’re looking for a night out in north Goa that isn’t Club Cabana or Tito’s, then this is the place to check out. It isn’t just restricted to nightouts, you can head here for a chill day and watch the sun go down while you sip on some delicious cocktails. The club gets a host of local and visitors, and most stay till dawn and party the night away. You should definitely go here on a Saturday night as they play awesome Bollywood music that will make you wanna dance the night away. They have a pass system which can get you unlimited alcohol and food. Their non-vegetarian selection is worth a try, but you can also eat in advance and then just have drinks and snacks here while you jive the night away. Buy your passes at the entry. They have a INR 1,000 for couples as well as INR 2,000 pass for stags which gives you access to unlimited alcohol and food.